UK EMFF Operational Programme approved! 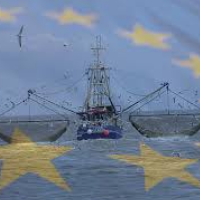 The UK European Maritime and Fisheries Fund (EMFF) Operational Programme was adopted by the European Commission yesterday. The UK Programme budget will have €310m available with EU contribution of €243m. The EMFF is one of the 5 European Structural and Investment which complement each other and seek to deliver growth and jobs based recovery in the EU The Fund replaces the EFF and is the fund to support maritime and fisheries policies for 2014-2020. Programmed at UK level and delivered by separate elements of the programme in Scotland, England, Northern Ireland and Wales. The Scottish share of the UK allocation under the EMFF is over €107m (the sterling value is effected by the fluctuations of the euro) and will be co-financed with domestic funds. Smart, Green Fisheries - to foster the transition to sustainable fishing which is more selective, removes discards & contributes to sustainable management of marine ecosystems. Smart, Green Aquaculture - to achieve economically viable, competitive and green aquaculture, capable of facing global competition and providing EU consumers with healthy and high nutrition value products. Sustainable and Inclusive Territorial Development - to reverse the decline of many coastal and inland communities dependent on fishing. Integrated Maritime Policy - to support those cross cutting priorities which generate savings and growth but which the Member States will not take forward on their own. For example: collection of scientific knowledge and advice,; and control & enforcement.